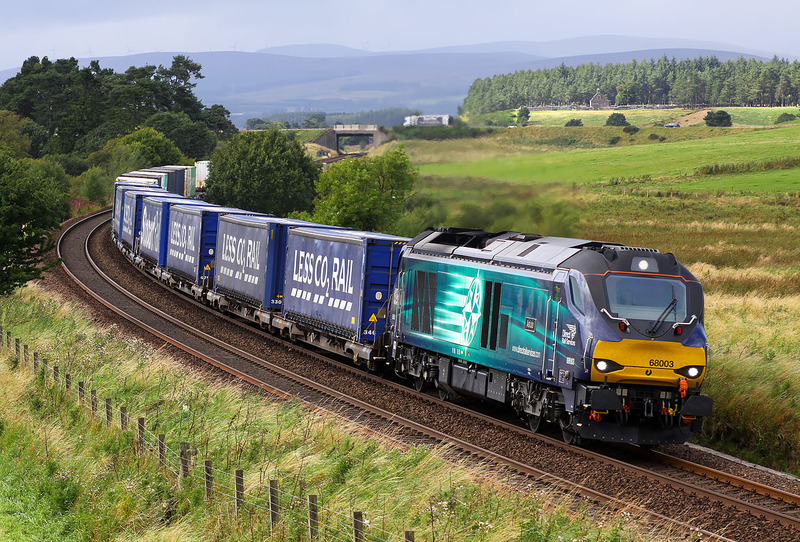 68003 Astute passes Bardrill on 31 August 2016 with the 4A13 12:23 Grangemouth to Aberdeen Craiginches Tesco intermodal. This was running a few minutes early. A pity it wasn't either ten minutes early, or ten minutes late, as in either case in would have been in full (admittedly backlit) sun!